With their commitment to maintenance coatings, Coo-Var have put anti-slip high on their list. For many years they have lead the way in single pack oil based slip resistant paints. G139 Suregrip is a firm favourite with contractors for use on wheelchair ramps, step edges and any areas around the home and public places such as schools, offices and public buildings. Easy to apply, G139 Suregrip offers a high degree of anti-slip as well as being extremely easy to apply and available in a wide range of colours including safety yellow. When it comes to steps and stairs, a fast alternative to paint is to apply self adhesive anti-slip stair treads. You simply clean the step, peel the backing off the tread and stick down. There is an edge glue available to secure the sides and reduce the trip hazard further. If you only want to apply anti-slip to the edge of the stair or step, there are a range of anti-slip tapes in a variety of colours. These are extremely popular for use on boats, access ramps, changing rooms etc. Not only available in solid colours such as black and red, but Coo-Var produce yellow and black striped tapes to mark hazards. This is especially useful around machines in workshops and factories. Luminescent and Glow In The Dark also known as photoluminescent anti-slip tapes produced by Coo-Var can be supplied from Promain also. If all you require is an anti-slip additive to mix into your floor paint, Coo-Var again can help with two different grades of slip resistance available. These are simply added to the paint or cast by hand to the wet film and either back rolled or when dry over coated with a further coat of paint to sandwich the aggregate in. Promain have been working closely with Coo-Var for many years and have been trained by their technical staff. 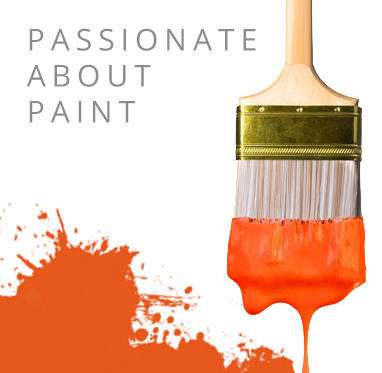 We are happy to answer any questions you may have on Coo-Var paints and coatings or give advice on application so that you achieve the best results possible.